When thinking about the difference between a Bluetooth speakers and portable speakers, well for those who think there isn’t much difference between the two it would be best to think again. Doing a small comparison on both, what benefits they hold, as well as a which models we think are the best for all purposes. Most the time when people think of bluetooth speakers they would automatically think of the little devices that you can buy almost everywhere, they come in different sizes but still keeping that compact look to them. 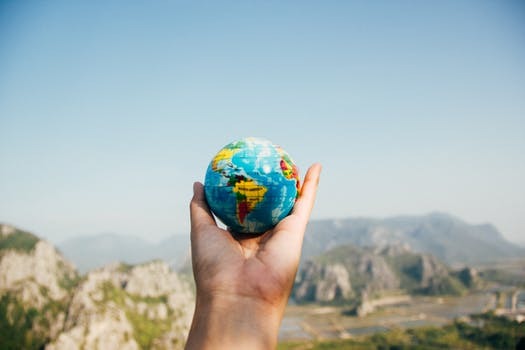 Providing an easy connection from any device, from mobile phone, laptop and so on. They usually come in multiple colors, recently being introduced as waterproof. 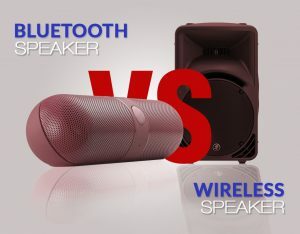 Whereas portable speakers are bigger and bulkier in comparison, this is due to them being more on the professional side. They aren’t as big as a regular speakers would be, as they are designed to be a compact version of the original yet still providing the same sound quality that would be needed. To start the comparison of obviously the main difference between the two would be the sizes, as bluetooth tends to be smaller and portable to the sense of being able to fit into a handbag or backpack. Not only are they waterproof and colorful which makes it more fun deciding on which color you would like to purchase, you can carry them around wherever you are and listen to your music in a park or any area you will be at with your friends to enjoy and relax whilst listen through the system. What makes it so portable an ideal for many to choose is how it runs on charging battery, leave the device to charge a few hours, in which it may last on its battery life for 6 hours. For the portable systems which are around half the size of an original speaker, they have much better and clearer sound than the bluetooth as well as, being able to be used for busking or house parties as they are small and loud enough to please a small crowd. The only downfall for them is how you need to connect a cable to power them on as well as to have your music be played it needs to a cable to connect to your phone or computer system. I can’t say that the size and weight of it is a big problem as depending on the system, the feel to them are fully portable but no matter the weight or size it will always make up for in sound, in this sense i would choose this portable systems over the bluetooth. As they are bigger, you would usually think that this would result in more time being spent to set the whole system up and configure everything, this is false as it wouldn’t need more than 5 minutes to do the job. As time goes on an technology advances everything has become more reliable and accommodates everyone’s needs for a portable system, through combining both bluetooth and portable speaker system. Having best of both worlds makes everything much easier and can be simpler deciding on which system would be the right one for you. Though they may be more expensive than your average speaker, being able to have the option of owning a bluetooth run big portable speaker it makes it all worth the fancy new features that they offer. Now what are some of these systems that have best of both worlds, well that would be the Bose S1 series which was just recently launched a few months ago, this is same for the Mackie FreePlay series launched a couple of months ago. They two systems have been the talk of the town when it comes to anything portable and bluetooth, competing their way through the market to get to where they are today. Being a small all in one portable system, able to be transported anywhere and at anytime, having no limits to it whether it being size, weight or even the features they have to offer. They can be used for multiple purposes of a floor monitor, a practice amplifier as well as a general music system to use, they target a variety of consumers from those who are musicians in all types of fields, whether it being DJs, singers and so on, also for those who would just like to play music as a background music, it’s suitable for everything. Looking into what features are offered, they support an Auto EQ that would practically do the job for you by making you sound the best at all times, including a 3-channel mixer, reverb and Bose touch to it being the ToneMatch and we can’t forget about the special feature of finally being compatible with Bluetooth. As for the exterior and overall fell on the speaker, they are very lightweight and easy to carry around and transport to place with its built-in handle and the lithium-ion battery which is rechargeable letting you use it for hours. It also supports the 35mm pole mounts to keep the speaker at a high angle. Similar for the Mackie FreePlay Live, targeting live musicians, public presenters and for those who would generally like to share their love of music with others, giving them a clear sound. Solving all problems there are with a portable system from it being to heavy, difficult setups, no power, low quality and unreliable, their FreePlay Live provides the utmost best that there is to make you more confident as a performer. Apart from making it lightweight and have all the right features especially it being Bluetooth controlled, the one that is just the cherry on-top that makes standout is is the completer wireless control, meaning that just through downloading the app “FreePlay Connect” which is available on iOS and Android devices, the speaker is in your control whether you are far apart, it’s all adjustable with just a move of your finger. This feature really sets the standards high with the ever improving system of the Mackie FreePlay series. Next: How to Choose a Perfect Projector Presentations for Business Meetings?